We won’t get into specifics, but the message went something like: post-breakup hot tub ping-pong... Lake Como... get down here soon... and don’t forget the moonshine. Problem: you need to fly with a glass bottle of the good stuff. 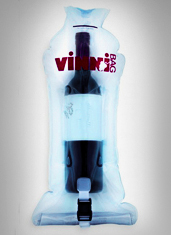 Solution: the VinniBag, an inflatable envelope that protects fragile bottles (and bottle-sized things), ensuring that your precious cargo arrives intact no matter how rough the flight (or luggage belt). Consider this an elegant alternative to your usual method for packing bottles (a pair of tube socks and an earnest prayer to the suitcase gods). Essentially an air cushion for your prized vino, the bag is sturdy enough that you can toss it in your luggage and not worry that it will shatter en route. It’s simple to use: insert wine bottle—or cologne bottle or edible bourbon-flavored body lotion bottle—into the clear plastic bag. Inflate. Lock and close. So the next time Bar Refaeli takes you on a whirlwind tour of Israel’s wine country and insists you go home with at least two jugs of Judean cabernet, you’ll want to have a few of these on hand, just in case. Never argue with a girl named Bar. Giving. Receiving. It’s Happening Again. 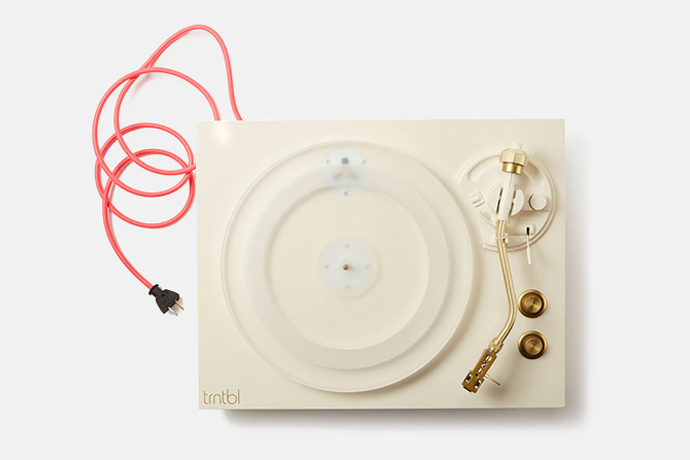 A 3D-Printed Replica. Of You.